Not long ago, we had a severe storm in New England that knocked out power lines across the region. I lost my power on a Thursday evening and the kids and I did homework by candlelight. It was kind of fun sitting together in the dark without the normal daily distractions. We talked about a lot of things, including what it must have been like for kids years ago to eat and do homework by candlelight with no TV, radio, Nintendo DS or Wii. While some in the area began to get their power back on Friday, we remained without power until late Sunday afternoon. Over the weekend, I had planned to write this section about managing stress and some other pieces as well. Instead, I dealt with water in my basement and no heat, electricity or water where I needed it! So this week, as we talk about managing stress, I can assure you I have practiced what I will preach in this newsletter. It has been estimated that 75%-90% of visits to primary care physicians are for stress-related concerns. Stress was called the “Epidemic of the Eighties” by Time Magazine and was referred to as our leading health problem at that time. But many studies confirm that Americans today believe they are under even more stress now than they were a decade or more ago. Stress is pervasive in our busy lives and stress definitely affects our health. But it doesn’t have to. There are simple techniques I will explore in this newsletter that you can use to release stress in order to find peace in the moment — and to restore balance to your body over time. Bear with me because this will be a little longer than usual because I want to make sure you have some solid action steps you can take to manage stress in your life. So many of my friends tell me they are stressed out: no time, running around in circles, feeling they are always behind, feeling like there is no time for themselves. One friend told me she got a gift certificate to a spa from her partner for Valentine’s Day, a break she sorely needs. But she was certain it would remain unused — at least until summer — because she simply had no time to fit in such an indulgence. We want to be super moms and amazing dads while still holding down our jobs and fulfilling all of our commitments and obligations. But as the flight attendant on the airplane instructs you, in case of an emergency situation, you should put the oxygen mask on yourself first before assisting any other passengers. And that is equally true in life. If you are run down and exhausted, stressed and tired, you cannot truly give ofyourself until you re-charge and re-fill your own gas tank. I am not sure which of the definitions I like best. While they are all accurate, and perhaps in the end, all the same, the way each is expressed evokes different thoughts and responses in me. And the reality is that stress itself manifests differently in each of us. For some people, stress makes them irritable, tense, and full of worry. For others, it manifests as low energy, fatigue, “burnout,” or disinterest or lack of motivation. And then there are those who don’t even know that they are stressed, because they go-go-go until they finally become overwhelmed. Until that moment, they never realize that being unable to slow down and just “BE”, being a workaholic or an adrenaline junkie is a way of avoiding an inner calm that would be stressful for them in a very different way. Resistance comes next, as the body tries to find a way to cope with the stressor. At first the body adapts, but then over time, resources are depleted. 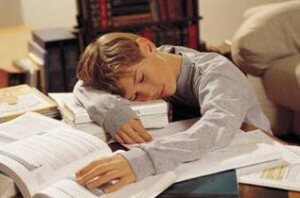 The final stage is exhaustion, wherein the body is no longer able to maintain normal function. If the final stage is extended, long-term damage can be done to systems and glands, particularly the adrenal gland and the immune system. Extended periods of stress wreak havoc on our bodies. But so does the repetition of moving through these phases over and over again. Our ancestors knew no real stress other than the occasional wild animal chase, whether they were the hunter or hunted. We seem to experience it on a daily or weekly basis. The challenges of the daily commute, work deadlines and family responsibilities did not exist in the way they do now. The human body is experiencing something very new in our lifetimes, and we may not have the physiology to support it. Stress results in inflammation in the body. Inflammation is only just beginning to get the medical recognition it deserves, but many experts already believe that inflammation is the underlying cause of many chronic illnesses. While many people can be confronted with stress and remain healthy, extensive research shows that stress contributes to disease. Stress has been shown to contribute to cancer, suppression of the immune system, heart disease, flu and viruses, colds, allergies, rheumatoid arthritis, ulcers and colitis, asthma, tension and migraine headaches, temporomandibular joint dysfunction (TMJD), irritable bowel syndrome, metabolic syndrome, type II diabetes, depression, high blood pressure, obesity and myriad other medical issues. While we may be able to remove some, we cannot eliminate all of the stressors in our lives. But what we can do is change the way we react to them and how we deal with their effect on our bodies. It is generally recognized that we do not breathe as we should. We take short shallow gulps from our lungs instead of long deep inhales and exhales emanating from our diaphragms. While some modern Western physicians, among them Dr. Andrew Weill, have written extensively about breathing, many ancient cultures recognized proper breathing as an essential component of a healthy life. These cultures not only believed in the importance of proper breathing, they have structured rituals and physical exercise programs around the power of the breath. Yoga and tai chi are two effective ways to integrate physical movement with breath, and as a result, to combat stress. Integrating physical exercise with breathing is especially helpful for stress release, since it combines two powerful stress release tools – breathing and exercise – into one activity. However, simply taking a few moments to take a deep breath, or two or three, can be a quick de-stressor. I was taught a method years ago as a means of bringing heart rates down rapidly after exercise. But I found it has the same beneficial effect when a driver cuts you off or your boss says he needs that report today. Close your mouth and breathe in through your nose slowly for a full count of four seconds. Hold the air for another full count of four seconds. Then slowly release the air out through your mouth for a full count of eight seconds, trying to ensure that you have enough air to get all the way to eight. It may take some practice! Doing that three times in a row will bring a rapidly racing heart down 10-15 beats per minute, so it’s an immediate coping strategy for a stressful situation. I probably will write an entire book on the health benefits of meditation, but for now, I’ll give a basic overview. Meditation has been shown to improve a very long list of conditions and concerns and bring more peace and joy into your life. But despite the volumes of evidence on its behalf, many people tell me they struggle with it. I think that’s because they have ideas about what it means or how it should be done that might get in the way. Some tell me they can’t quiet their mind or they fall asleep and that makes them even more stressed because they feel like they are doing it wrong! But there is no wrong when it comes to meditation. Meditation is about taking time to just be. Time to focus on your breathing and to quiet your mind. Have you ever noticed how sometimes when you have a quiet moment, whether it’s in the shower or in the car, that an idea comes through or you suddenly remember something you’d forgotten? That quiet space in between is where we release stress and heal, where we find ourselves again, where we touch base with our inner dreams and yearnings, and get great ideas about everything from what to make for dinner to how to solve a problem that has been perplexing us. And we usually emerge from that moment inspired, peaceful and happy. How do you meditate? There are so many different practices and there are different forms of meditation depending on what you want to achieve. But when I teach people to meditate, I tell them to forget about all of that and not to worry about what they think or heard it should be. Start by sitting or lying down and getting really comfortable. If it’s possible, wear loose clothing and take off your shoes. Close your eyes and just focus on your breath going in and out. Hear it, feel your abdomen rise and fall as the air moves through. Try to block out everything else around you except your breath. If being this still just isn’t working for you, try adding some music to help calm and focus you. I’ll be writing more about this type of music therapy at the end of this newsletter. If thoughts come into your head, that’s fine. Allow them in; they want to be heard. But don’t follow them or attach to them. I like to use the analogy of each thought being a red balloon. As thoughts come into your head, assign them a red balloon and then set that balloon free. Thank the balloon if you want to. But let it go and watch it float away. At first the thoughts may be very mundane, such as I have to pick up milk. 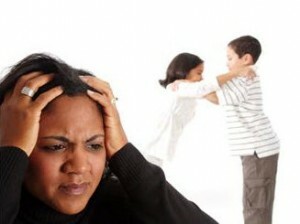 Over time, the thoughts will be deeper and more insightful, such as I have to forgive my mother. Or I want to take up painting to express myself. It doesn’t matter what the thoughts are or how many there are: just accept what comes, assign it a red balloon, and set it free. The goal over time will be – with practice – to see if you can expand the space in between the thoughts. To slow down the rate at which those thoughts come popping in and leave more stillness in between them. While many people extol the praises of meditation for an hour or more in the morning and an hour or more at night, that is not realistic for – and would be challenging for – most of us. If you can do that, great! Otherwise, start with what’s manageable. Can you take a minute for yourself? Are you worth that? Remember the oxygen mask! Could you take 10 minutes before the kids get up or after the alarm goes off before you get in the shower? Could you find time during lunch or in between meetings? While you wait to pick up your kids at soccer practice? Instead of listening to the radio or doing work, take a few quiet moments for yourself and close your eyes and breathe. Even one minute will make a difference, and with practice, as with everything, you get better. If possible, try to find even just a few moments before you start your day and somewhere near the end. If you finish your quiet time with a moment of gratitude, finding a way to give thanks for the good things in your life – even if you have to really stretch to find them in that moment – your life will become more peaceful and more joyful over time. For some people, no matter how much they practice or how hard they try, they are so in their heads that they just cannot seem to escape. Forcefully trying ends up causing them more stress instead of alleviating it. If you struggle with meditation for that or any other reason, or if you want to try something different every once in awhile, music can be a great way to relax and de-stress. While singing and dancing can be a fun way to let go, in this case, I am talking about a form of meditation to music. Some people find classical music very relaxing, for others, its new age or jazz or their favorite soul or folk singer. The key is to find music that does not draw you in and engage your mind, but rather, lets you recede and experience the music without that mental or physical stimulation. Usually when I usually listen to music, words engage me. So when I meditate to music, I need to have music without words so as not to focus on the music but rather to just relax with the music as a backdrop. I have been surprised that some of my favorite meditation music is not music I would typically listen to; certain music just takes me to another place when I meditate to it. While a symphony works for some, for many, the simplicity of a soloist is more effective. Other options include Steven Halpern’s new age music, Yanni, Deuter, sounds of nature like waves or rain set to music, or perhaps Native American Indian or Tibetan flutes, which surprisingly seem to resonate with many. You may need to experiment to find what relaxes you but keeps you present, versus what puts you to sleep or sends your thoughts racing. Just as with meditation, relax and sit or lie down and just listen. If thoughts come through, honor them, assign them a balloon, and set them free. Most of the time, we listen to music while we are doing something else. You will experience the music very differently in the stillness. And if you do fall asleep, that’s ok. It means you needed it and you were relaxed enough to get there and that is also an important part of releasing stress: getting rest and listening to your body. There are many other stress management therapies, including humor and art therapy, behavior modification, progressive muscular relaxation, exercise, nutrition, visualization, resource management, communication skills, creative problem solving, massage, and journaling. If they resonate with you, definitely do some research or take a class and explore them. I personally love free-form journaling where you carry a notebook or keep one by your bed. When you are stressed, or at the end of your day, you just write, without stopping, whatever comes into your head. Don’t analyze it: just let it all flow. It is amazingly cathartic! If you want to take it further, once a week, go back and re-read what you wrote. Use a red pen and circle repetitive themes or words or comments that surprise you or resonate with you. If you go back and do that several weeks in a row, you will begin to see patterns in your red-circled words that can help you determine areas of your life you want to change, people who stress you or who you need to forgive, or judgments you make about yourself that you need to heal and release. At a minimum, I encourage you to try breathing and meditation. It takes practice, so don’t be discouraged if it doesn’t come easily at first. If one technique doesn’t work for you after several tries, try another one. Your physical body deserves a few moments of peaceful rest and your soul is craving a quiet moment to reconnect with you. They will both thank you. Despite popular belief that it’s the cholesterol in your food that influences cholesterol in the bloodstream, that has not been proven to be the case. Your body makes 75% of the cholesterol it needs to survive for healthy brain and cell function. The other 25% it MUST take in from the food you eat. 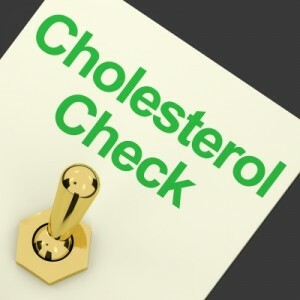 When you eat more cholesterol in your diet, the body simply adjusts its cholesterol production downward to compensate. Research confirms that eating cholesterol-rich foods does not increase your cholesterol levels; the body is an adaptive, reactive mechanism which responds to changing conditions and balances appropriately. We need cholesterol because it keeps cell membranes from falling apart and plays an integral part in cellular repair. It builds brain and nerve tissue, supports the immune system, and maintains neurotransmitter and brain function. Cholesterol is also a vital pre-cursor to many major hormones including testosterone, progesterone, estrogen, cortisol, and dehydroepiandrosterone (DHEA). Cholesterol helps regulate mood, is required for synthesis of vitamin D and helps us digest fat-soluble vitamins such as A,D,E and K. We could not live without cholesterol! If you don’t eat cholesterol, your body will go into crisis mode and start making the extra cholesterol it needs to survive and thrive. When you are tested, your cholesterol will be high, even though you are actually cholesterol deficient. Let’s take a quick look briefly at the body’s inflammatory process to better understand what cholesterol does. Bear with me while we talk a little science. When you cut yourself, the damaged tissue releases chemicals to start the inflammation process. Blood vessels constrict to slow down bleeding, blood thickens so it can clot and cells multiply to repair damage and facilitate healing while the immune system calls on cells and chemicals to protect against viruses and bacteria from attacking the cut. This is very similar to what occurs within the arteries. As damage occurs from oxidizing fats and nutrient imbalances, chemicals are released to begin the inflammatory process. Arteries constrict, blood begins to clot, the immune system sends help, and nearby cells are told to multiply. As this process occurs over and over again in the artery lining, scars called plaque form. Over time, blood thickening and artery constriction combine to make a heart attack or high blood pressure more likely. So remember the first step after trauma: chemicals are released to begin inflammation and start the healing process. Enter cholesterol, whose primary function is cell repair. Cholesterol is sent to help repair the damaged tissue in the artery linings and elsewhere: it is actually helping your body heal and keep you alive! Now if the inflammatory process is occurring repeatedly, cholesterol is continually being manufactured or recycled in order to facilitate the healing process. When tested, your cholesterol levels will seem high. But your body needs that cholesterol to heal, and your body is manufacturing the exact level of cholesterol it needs for brain and cell function along with that healing. What effect do you think forcing cholesterol levels down artificially with a drug like a statin would have on the body? And if eating cholesterol-rich foods doesn’t increase your cholesterol levels, what does? We just learned that cholesterol steps in to help cells heal, it is released upon infection or inflammation. It is also a precursor for stress hormones. Whenever you the body is fighting an infection, whether it is an environmental allergy like pollen, a food allergy like gluten, or a bacterial or viral infection, you will find high cholesterol levels. If the body is under stress, cholesterol, which is needed to make stress hormones like cortisol, will be high. If the stress is short-lived, cholesterol will later drop: if you live a life of constant stress, you will see chronic low-grade inflammation, and consistently higher cholesterol levels as well. Take the cholesterol away and leave the other concerns like infections and bad food choices and your body’s ability to heal is compromised. Take the cholesterol away but leave the stress triggers and you interfere with the body’s ability produce stress hormones, which can lead to serious health concerns. Cholesterol is actually protective in these cases and higher levels are actually beneficial to the body’s health and well-being. We’ll cover this further in a future article, but I want to help you begin to see (because I realize this is a whole new way of thinking about cholesterol and understanding its role in your body for most people so it may take some time to really register) that cholesterol and yes sometimes high levels cholesterol levels are not only necessary, they can actually be beneficial. Several studies have shown that people with high cholesterol actually live longer than people with low cholesterol. And 75% of people hospitalized for a heart attack had “normal” cholesterol. Perhaps you can begin to see why high cholesterol may not be a bad thing, especially since it hasn’t been directly linked to heart attacks or strokes. As we saw when we looked at the inflammatory process in the body, cholesterol is present whenever there is inflammation in the body. The inflammation that occurs from a stressful moment, and infection or an allergy is part of the body’s natural healing process occurring as nature intends it and that’s a good thing. Sometimes, however, there is inflammation that occurs that is not necessary or desirable; it is self-induced from food choices that are not natural for our bodies. In today’s world, we bombard our body with artificial chemicals and nutrient imbalances that the body never had to deal with before. And we do it over and over and over, each and every day.